Handmade, authentic Afghan nomadic vintage pendent is an amazing piece of art. The pendent is a square vintage jewellery inlaid with colourful stones, securely surrounded by beautiful filgree work, hand carving. 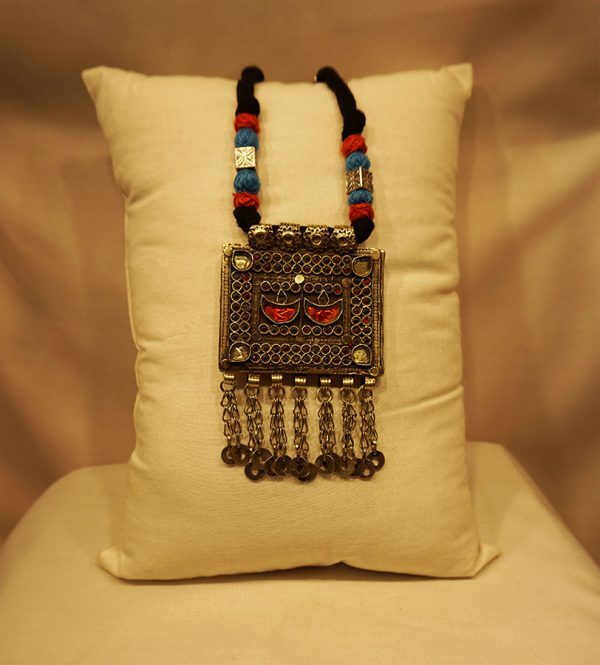 The pendant is artistically hand beaded with navy blue cotton threads and turquise chord. 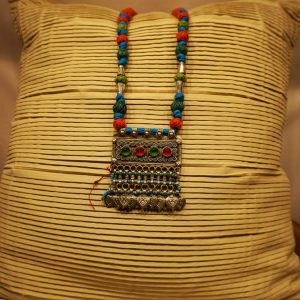 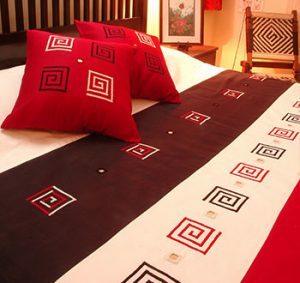 Adjust the length of the jewellery with a handmade thread bead. 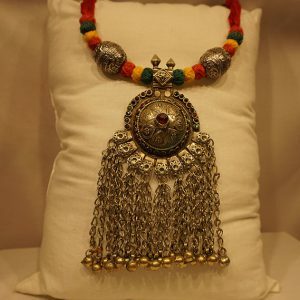 The beautiful pendant falls with metal alloy disc like hanging through the chain giving a soft soothing sound. 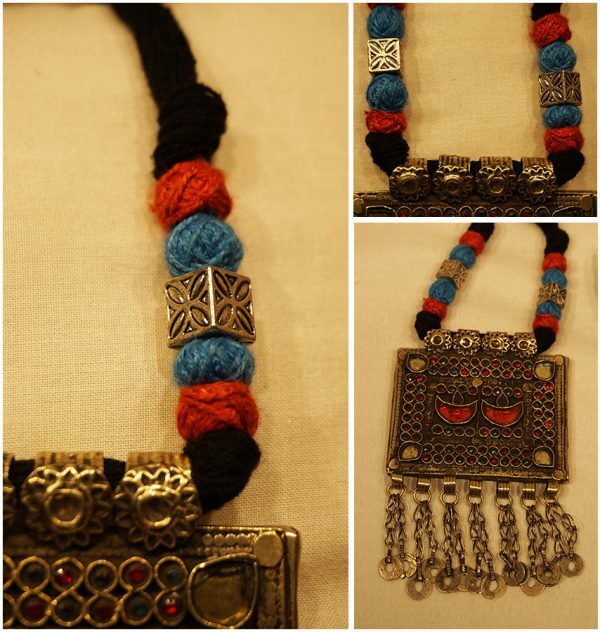 Handmade, authentic Afghan nomadic vintage pendent is an amazing piece of art. 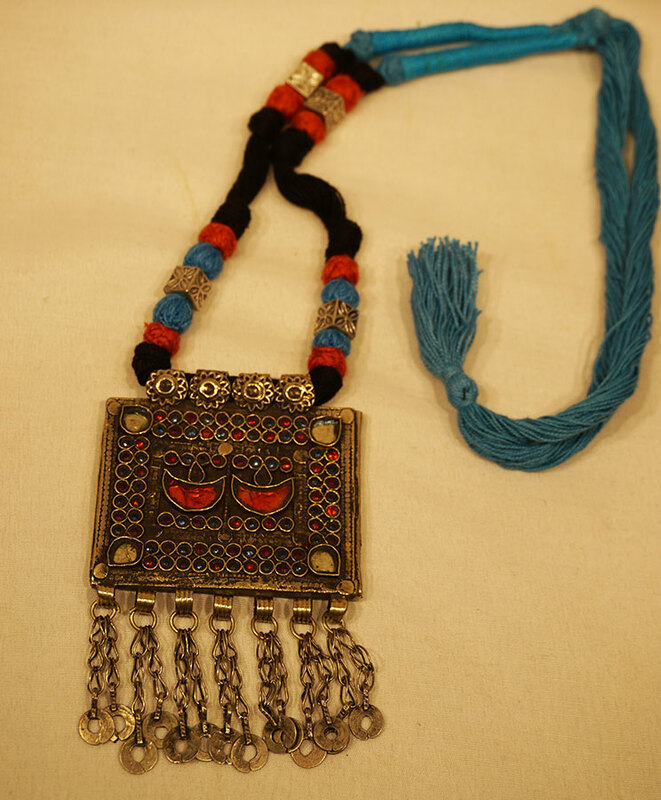 The pendent is a square vintage jewellery inlaid with colourful stones, securely surrounded by beautiful filgree work, hand carving. The pendant is artistically hand beaded with navy blue cotton threads, square white metal beads and turquise chord. 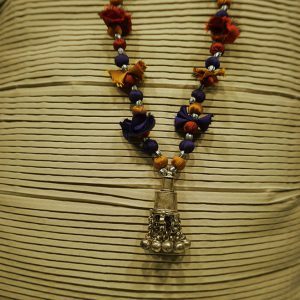 Adjust the length of the jewellery with a handmade thread bead. 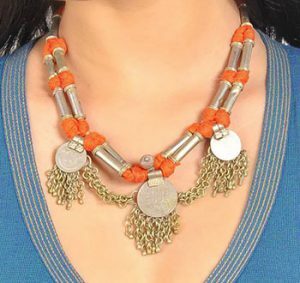 The beautiful pendant falls with metal alloy disc like hanging through the chain giving a soft soothing sound.